Someone found him and did the exact right thing. 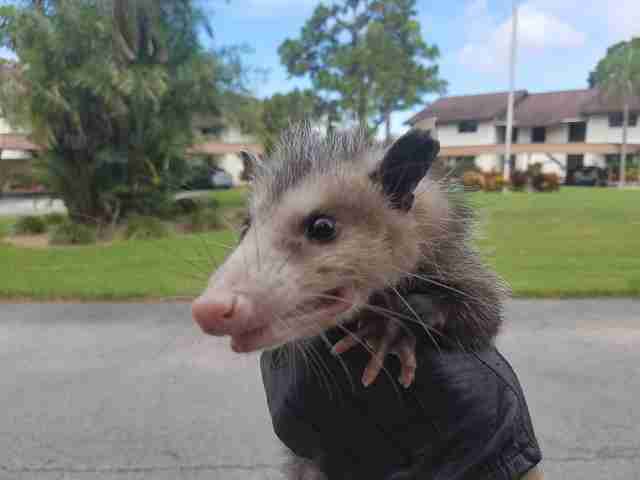 A wild opossum in Florida recently learned that it's possible to go just a bit too far for a snack. A house cleaner was throwing out trash in a large dumpster when she spotted something down on the corner of the dumpster — or, rather, someone. 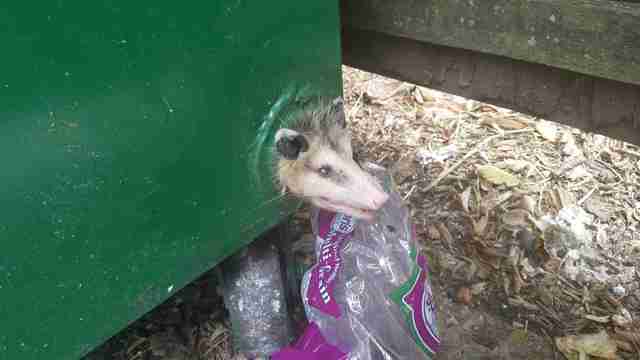 A glance inside the dumpster confirmed the opossum's uncomfortable predicament. "This young opossum managed to trap his head in a hole in the side of a dumpster," Devon, from the Wildlife, Inc. Education & Rehabilitation Center, wrote on Facebook. Devon arrived at the scene to help out after the house cleaner, Deborah, called for help. Deborah stayed with the little guy until Devon got there. 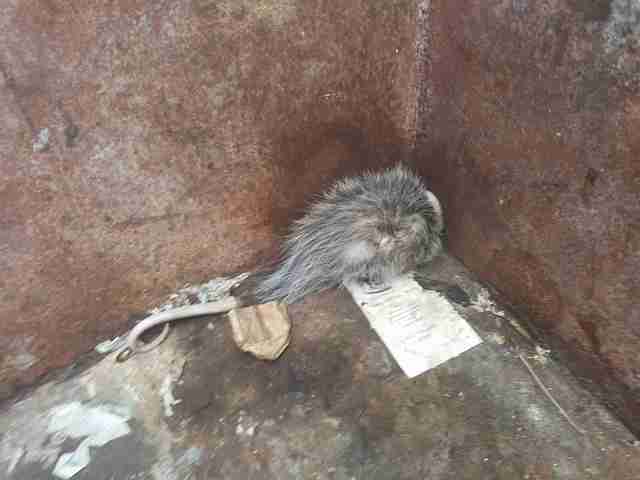 "When I arrived, I hopped inside the dumpster and fortunately was easily able to gently remove his head slowly from the hole," Devon said. "He was thin and dehydrated, leading me to believe he was trapped for hours." The hungry little opossum is now recovering at the wildlife center, and will soon be released back in the wild. Hopefully, he'll be a little more careful next time. If you ever find a wild animal in distress, you can do them a favor and contact your local wildlife rehabilitation center for help. To help Wildlife, Inc. come to the rescue to more animals like this little guy, you can make a donation.